Coaching to challenge you. How well are you, really? What could you achieve? 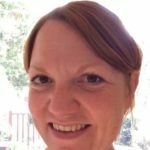 Sheela Hobden is an ICF (International Coach Federation) qualified Business and Personal Coach specialising in programmes to realise complete wellness, resilience and fulfilment. Success in the corporate world of Human Resources, Change, Learning and Development didn't do "IT" for Sheela. Addressing her own wellness following a battle with mental health, she switched focus, setting up bluegreen coaching to combine her experiences to help others unlock their true potential.